PUT IT IN GEAR and VISIT These WEBSITES! Below is a list of the best Ghost Town and Mining Camp Websites on the net. How do I know this? Easy, the hosts are my friends! (Well, ok, I don't know one of 'em!) Please check them out by clicking on the title. There are plenty of photos and information to keep you busy for a long time. Enjoy! Lot's of great sites and photos but beware of the humor. I love it! The Aircraft Crash Sites exploration and documentation is well done. Historic Mining and Native Prehistoric. Excellent photography! Join Dezdan for a thorough Exploration of Western Ghost Towns, Mining Camps. etc! The most fun website out there! Travel to great places with an emphasis on the Panamint and and Death Valley region. Take a trip back in time. Legends and Lore, Photos and Books. Bodie, Cerro Gordo and More! Purveyor of Excellent Ghost Town History. My favorite source of detailed AND informational books. A Professional grade of Explorers dedicated to the Understanding and Documentation of California Mining History. Sheriff Stone's quest to Restore and Preserve Gold Point. Quiet or Lively, Gold Point is the place to be! 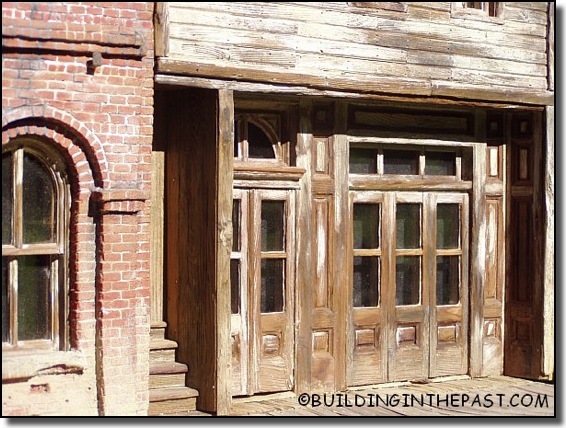 Paul creates amazingly detailed replicas of historic Western American building facades. See one example, “a portion” of his fine work below. 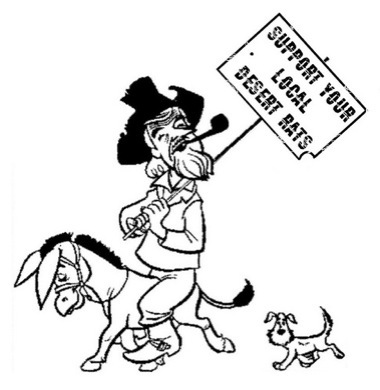 Great website concentrating on the old railways of SE Calif and SW Nevada The “Ghost” section is very interesting and well done.